I’ve lived in Nice on the French Riviera for the past three years, but though Monaco is just a 20-minute train trip away, I’ve only recently gotten to know this ritzy principality. The second-smallest country in the world after Vatican City, Monaco stretches along just three miles of Mediterranean coastline and is less than one square mile across — in other words, roughly the size of Central Park. 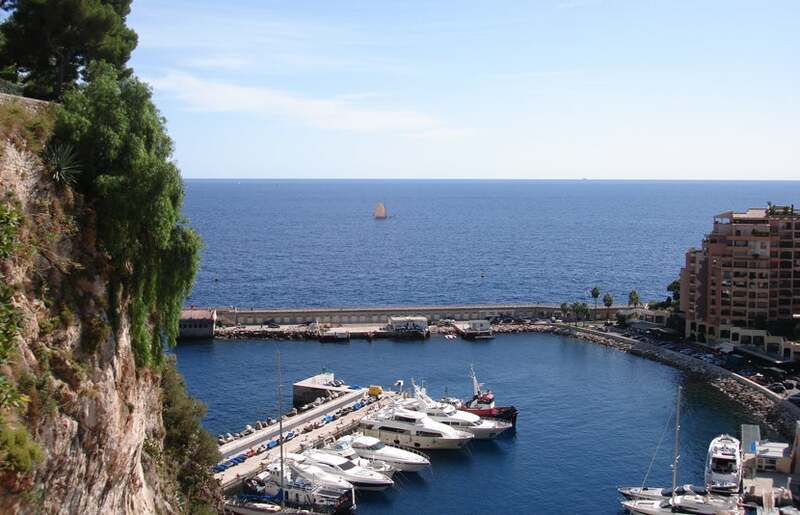 Monaco is composed of four districts: Monaco-Ville, Fontvieille, La Condamine and Monte Carlo. Though the famous Monte Carlo may seem like where you’d find all the action — it’s the location for the annual Grand Prix (held each year in May) and home of the eponymous casino — the principality’s other three districts offer equal doses of the glamour you’d expect from a hotspot known for its luxe hotels, super-yachts and Michelin-starred restaurants. Hop on a helicopter in the Fontvieille district and explore Monaco from the sky. One of the first districts you’ll reach when entering Monaco is also one of the principality’s newest — Fontvieille, home to a sculpture path with work by Calder and César, as well as 100 contemporary pieces by Monaco-based artists. Stop and smell the roses at the heart-shaped Princess Grace Rose Garden in Fontvieille Park, featuring 180 varieties and more than 4,000 roses in total. Even when it’s stormy out, Monaco’s port is still a sight to behold. Climb up the steep staircase and catch views over Monaco’s port and the principality as you make your way to Monaco-Ville, also known as the old town and home of the 18th-century prince’s palace. The alleyways and city walls — some of which date back to the Middle Ages — present a more historic side of the country, but most of the buildings are actually filled with souvenir shops and touristy restaurants. While you’re up here admiring the views, don’t miss the Oceanographic Museum, built on the cliffside with a panoramic terrace. Entrance fees range from €7-14 ($8-16), and if you purchase your tickets with the Citi Premier Card, you’ll earn its 2x bonus on tourist attractions. Stop by and admire the casino by night — and try your hand at one of the tables. 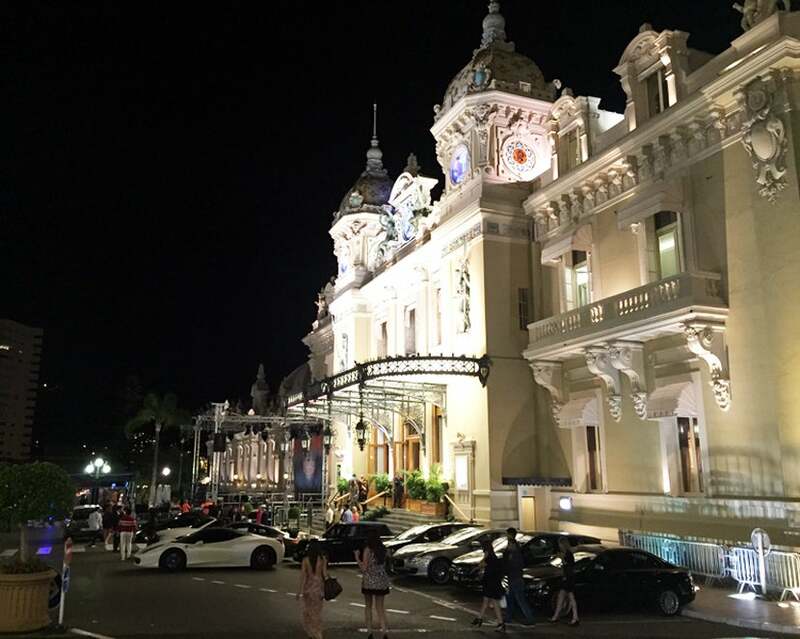 One of Monte-Carlo‘s legendary landmarks, the Belle Époque-style Casino de Monte-Carlo really pops when it’s all lit up at night — and surrounded by a string of the most luxurious cars in the world. Entry is €10 ($11) or free if you’re staying at one of the Monte-Carlo SBM hotels, and it’s worth a visit, even if you’re just doing a walk-through exploring the gilded rooms and views looking out across the bay. The Monte-Carlo SBM hotels are part of the Leading Hotels of the World collection, and hence part of the Leaders Club membership program. If you’re not a member, you can charge your hotel spend to the Citi Prestige card to earn its hotel category bonus of 3x points per dollar. 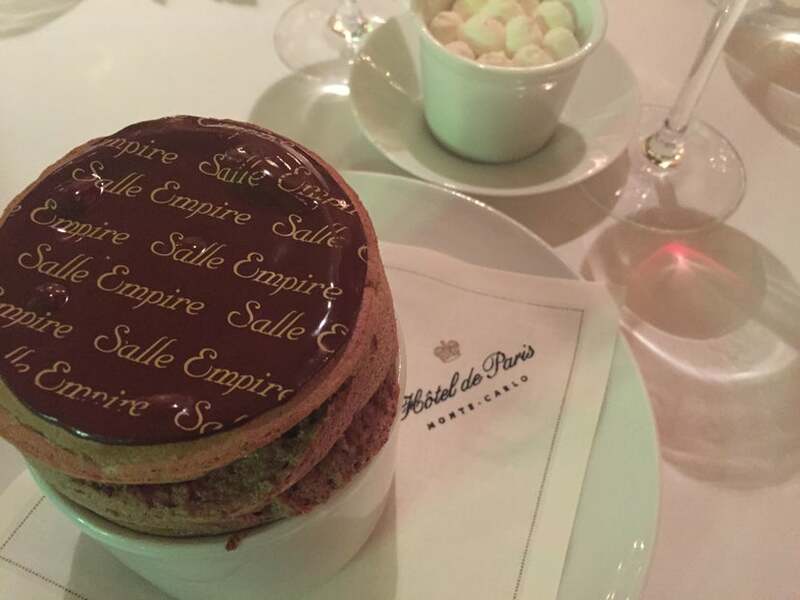 The Salle Empire’s traditional chocolate soufflé was worth every bite (and calorie). One of these Monte-Carlo SBM hotels, the 5-star Hôtel de Paris, is currently in the midst of a four-year renovation. However, you can still get a taste of the grand establishment by dining at one of its restaurants, such as the Salle Empire, with its over-the-top ballroom, gourmet French fare and romantic views of the casino across the way. The Gustave Eiffel-designed dome at the Hôtel Hermitage. 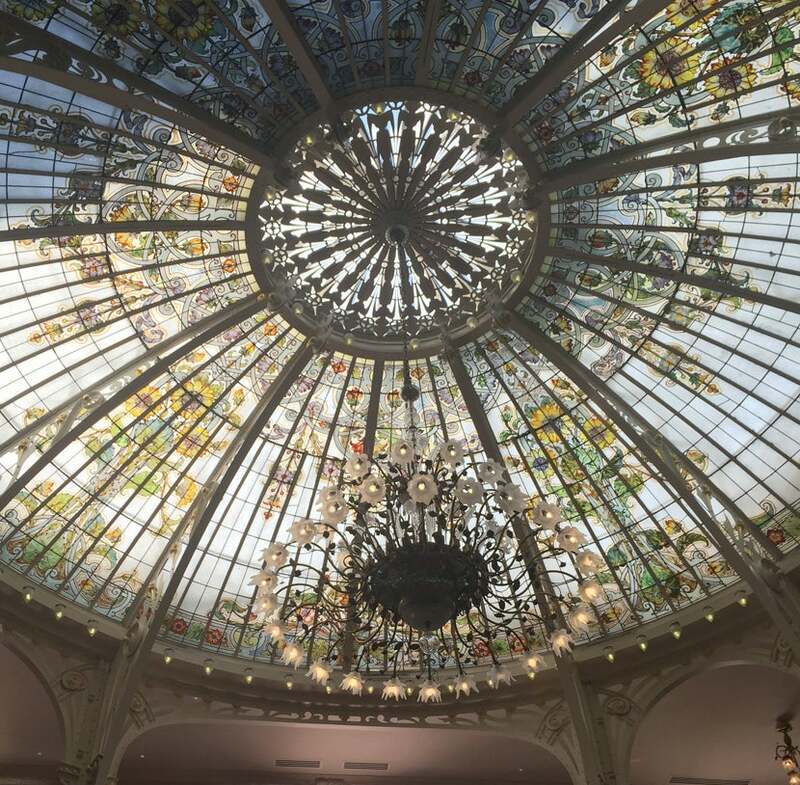 Another Monte-Carlo SBM property is the nearby Hôtel Hermitage, which towers over Port Hercule and features a winter garden with a stained-glass dome (pictured above) designed by Gustave Eiffel. When I’m feeling a bit decadent, I love indulging in a (really nice) drink on the Crystal Bar terrace and ordering up some of the macarons from the on-site Ladurée. If you’re staying in the Hôtel Hermitage or spending a day at Thermes Marins, this is your view (minus the scaffolding). 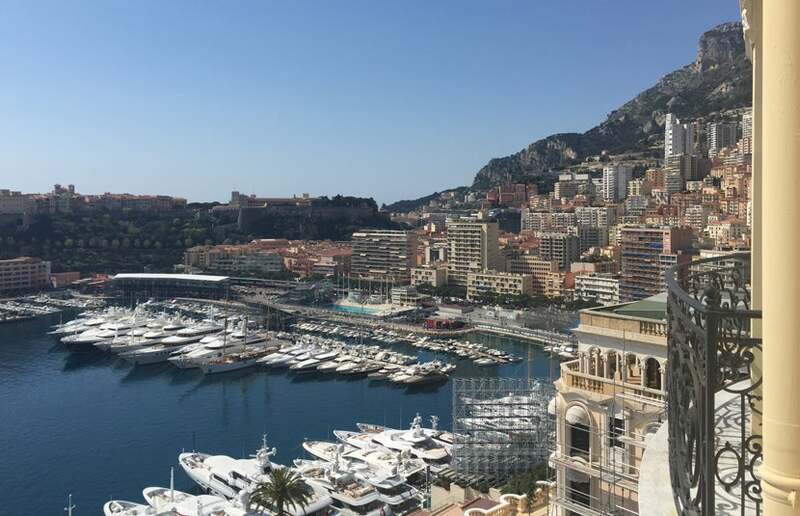 Rooms at the hotel (starting around $504) are absolutely stunning and offer up views like the one pictured above, but you can also steal views over the port from Thermes Marins Monte-Carlo, which connects to both the Hermitage and Hôtel de Paris. Following an extensive renovation, this 75,000-square-foot spa reopened last year with an indoor pool, hammam and sauna, and (best of all) a jacuzzi on the terrace that gives you one of the best seats in the house. I recently tried a 90-minute, Riviera-inspired treatment that started with a mud wrap and massage using ingredients from around the region — and I wasn’t sorry. 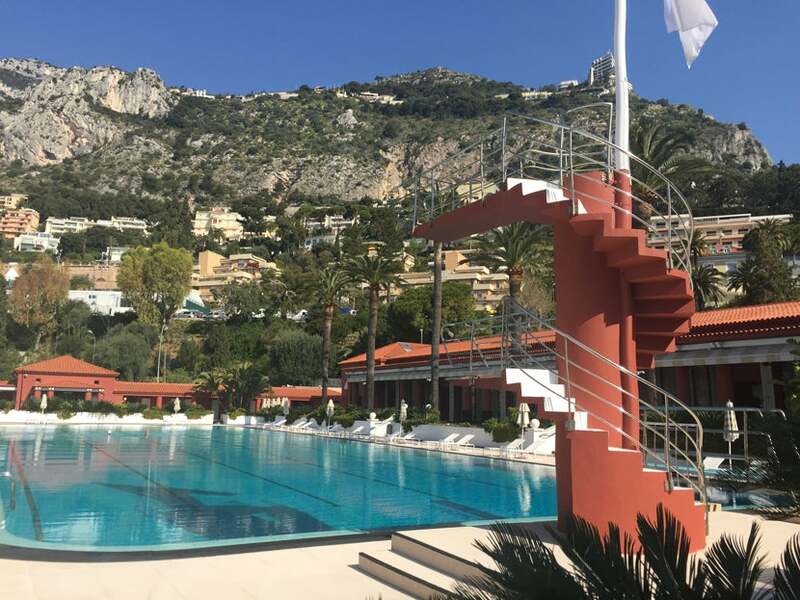 The retro, seawater-filled pool at the Monte-Carlo Beach hotel. Note that if you’re staying at any SBM property, you’ll have complimentary access to this hotel’s beach club and free shuttle service to any other SBM spot, leaving every 20 minutes. Elsa is the first all-organic, Michelin-starred restaurant in the world. While I love spending the day at the beach, what’s even better is a long, leisurely French lunch on one of the best terraces in town. 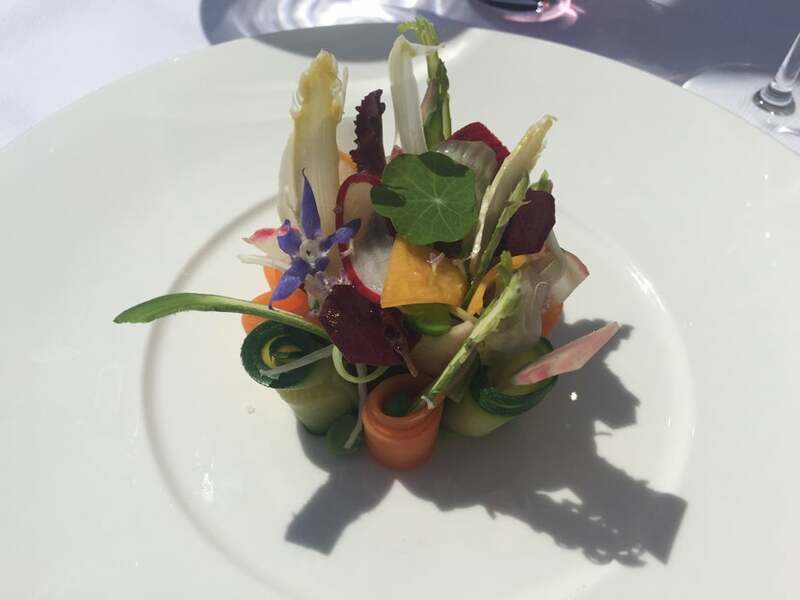 Monte-Carlo Beach’s Elsa overlooks Monaco from its seaside perch and features a stunning array of cuisine from Italian Chef Paolo Sari, like the Bio Sama (pictured above), a plate of summer vegetables that look like a piece of art, all hailing from Sari’s garden. The street party taking over the port below Rascasse during the Grand Prix. Whether you want a sophisticated nightcap or a 5 am-er at a club, Monaco’s nightlife scene has you covered. I’m a fan of the bars that line the port in the La Condamine district. 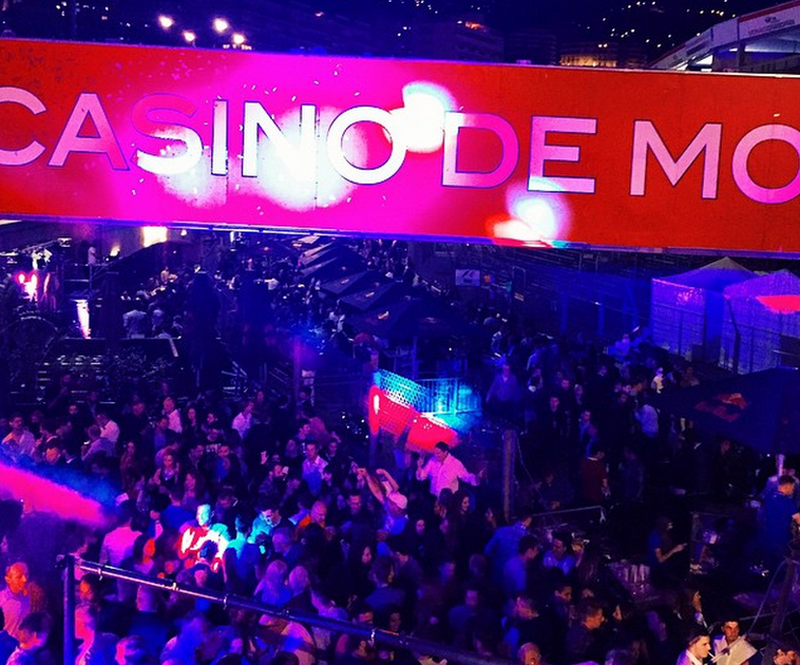 Rascasse features live music, and the venue explodes into a street party during the Monaco Grand Prix. If you’re more interested in a DJ-driven nightclub scene, you’ll find a few high-profile lounges and clubs like Buddha Bar, Jimmy’z and Twiga. As all these spots count as entertainment spending — best to use the Citi Premier card for its 2x bonus on entertainment. 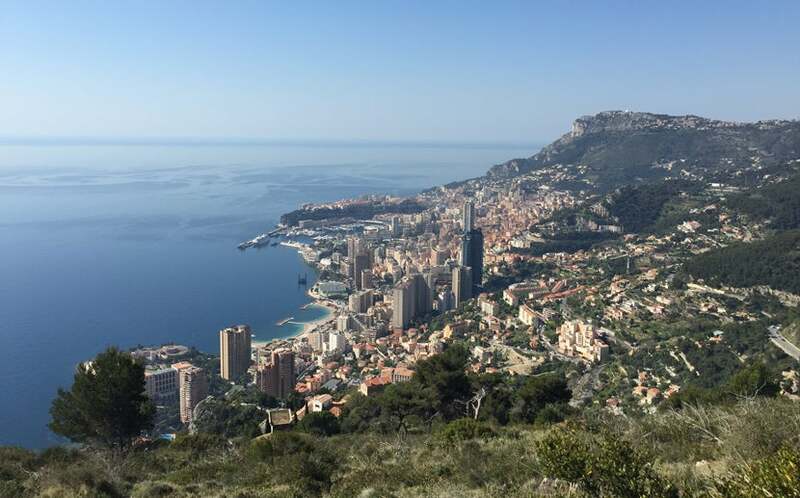 See a different side of Monaco from Roquebrune-Cap-Martin’s trails. Monaco may be known for its nightclubs, high-end hotels and yachts, but just a few miles away you’ll find a region teeming with farms and rock-climbing opportunities. Everyone seems surprised when I mention the picturesque hiking trails snaking their way around the principality in hilltop towns like Roquebrune-Cap-Martin, an easy day-trip option from Monaco. American AAdvantage: One-way from 20,000 miles (economy), 50,000 miles (business) and 62,500 miles (first) on British Airways [via London-Heathrow (LHR)] or Iberia [via Madrid (MAD]. United MileagePlus: One-way from 30,000 miles (economy), 57,500 miles (business) and 70,000 miles (first) on United with intra-Europe flights on Lufthansa, Austrian, Germanwings, Swiss or Turkish. One-way from 70,000 (business) and 110,000 (first) when flying Austrian across the Atlantic. If you’d rather fly from a larger collection of US hubs via Paris (CDG) on Air France, know that FlyingBlue Classic Awards on US-Europe routes start at 50,000 miles round-trip in economy, or 125,000 miles round-trip in business. For more tips on cashing in points and miles for airline tickets and car rentals to/at NCE, check out TPG’s post Help Me Plan My Upcoming Trip to Provence and Monte Carlo. To get from the airport to Monte-Carlo, you have several options, including Uber, train and bus. To arrive with a flourish, though, it’s a 7-minute ride and €165 ($184) via helicopter, which beats the €80 ($89) taxi fare that will take about 40 minutes. The principality is home to Le Méridien Beach Plaza (where TPG recently stayed), a Starwood Category 6 property that requires 20,000 SPG points or about $335 per night, and offers gorgeous views of the Mediterranean Sea. 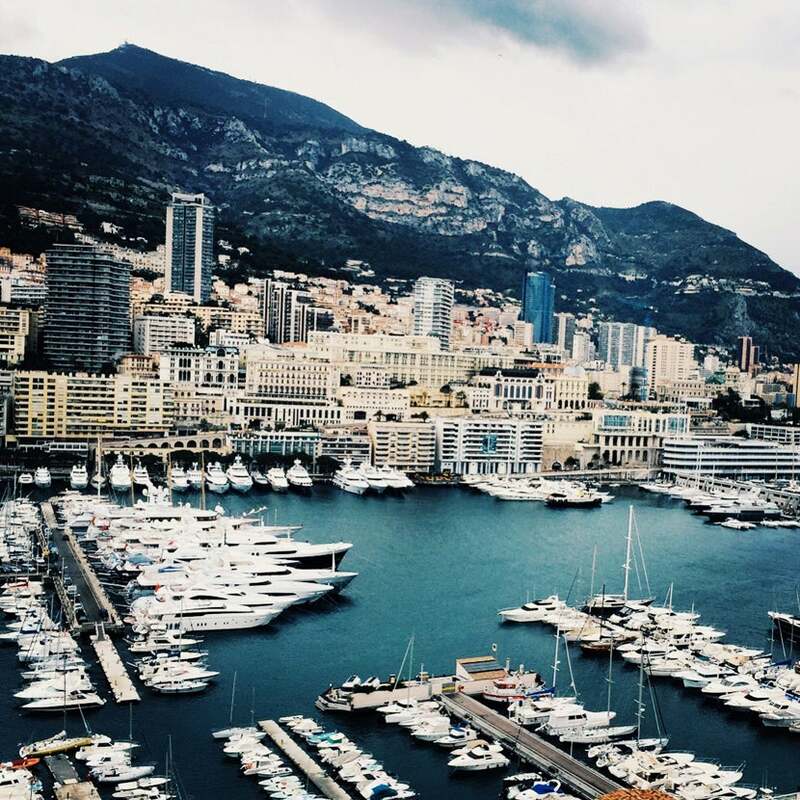 What are some of your favorite parts about Monaco and the French Riviera?